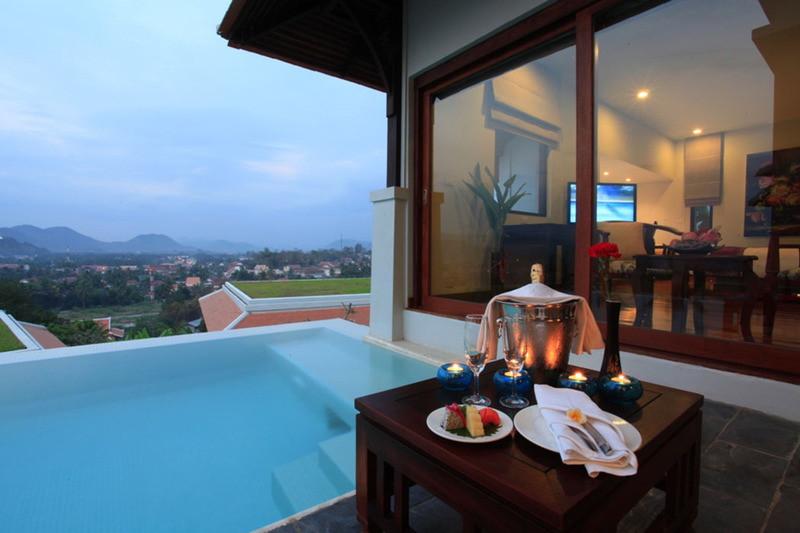 Escape to paradise at the Luang Prabang View Hotel. 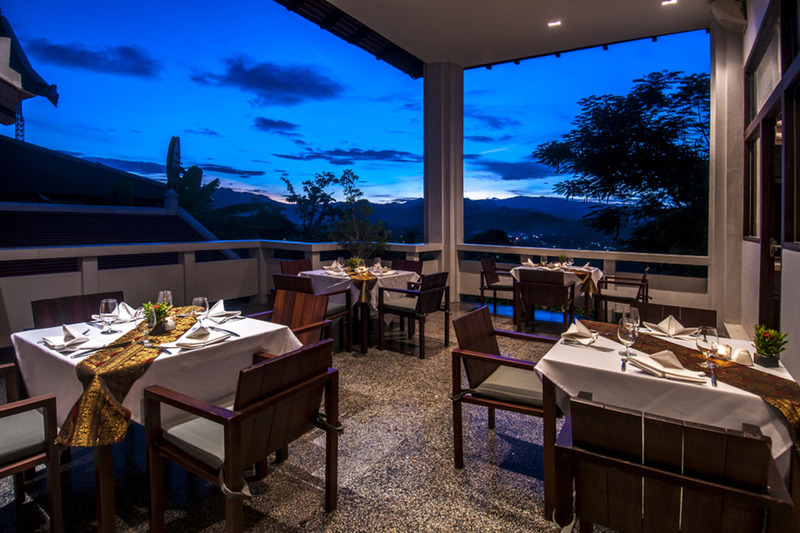 This five hectare resort set on the top of a hill overlooking Luang Prabang offers stunning views across to the city and mountains which surround it. This idyllic hideaway is perfectly positioned: far enough away to avoid the hustle and bustle of the town below, but close enough that it’s just a 5 minute complimentary shuttle ride away (and 20 minutes from Luang Prabang airport). 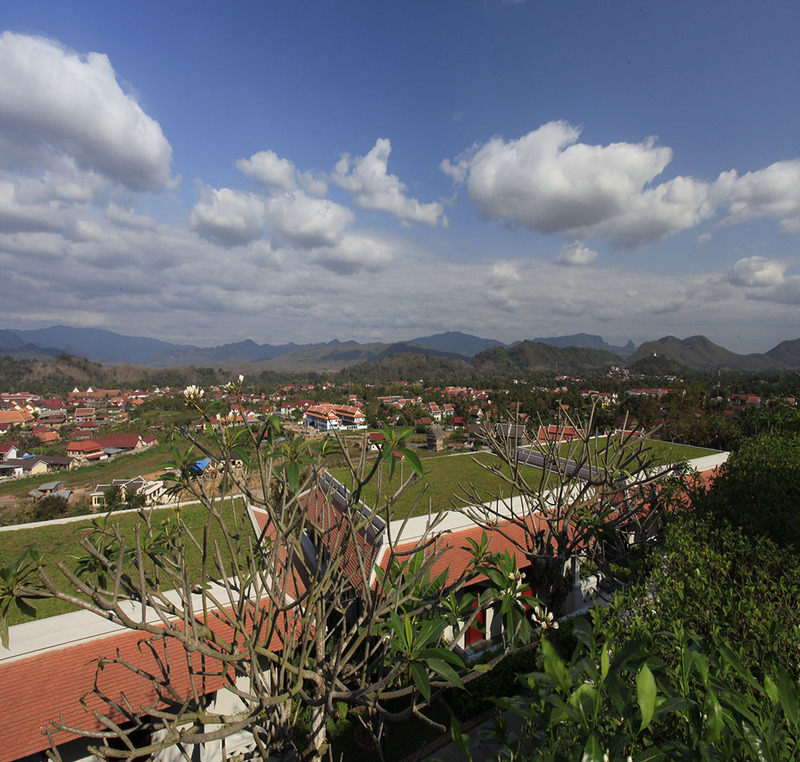 The resort is made up of 74 spacious rooms and villas which all benefit from the beautiful views of the surrounding city and lush green mountains. 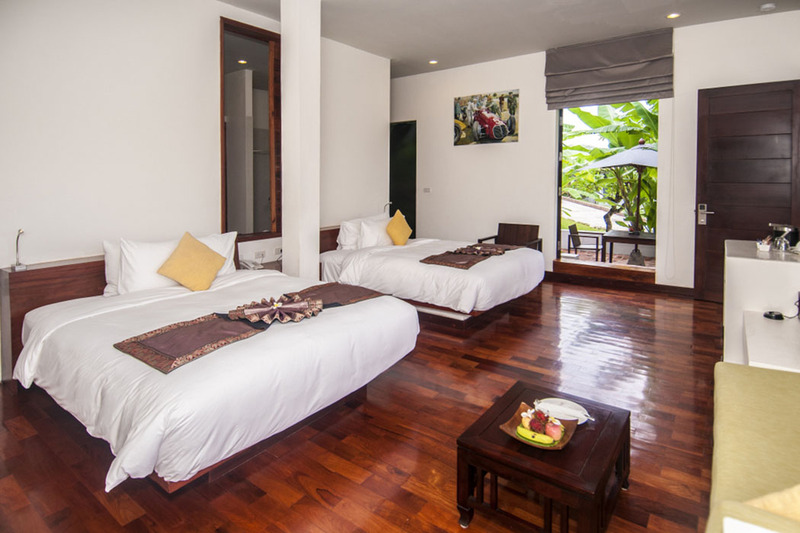 For your stay you can choose between standard room, suite or a pool villa with a private plunge pool all of which are modern, spacious and enjoy views of the town, mountains, rivers and the lush green foliage of Laos. 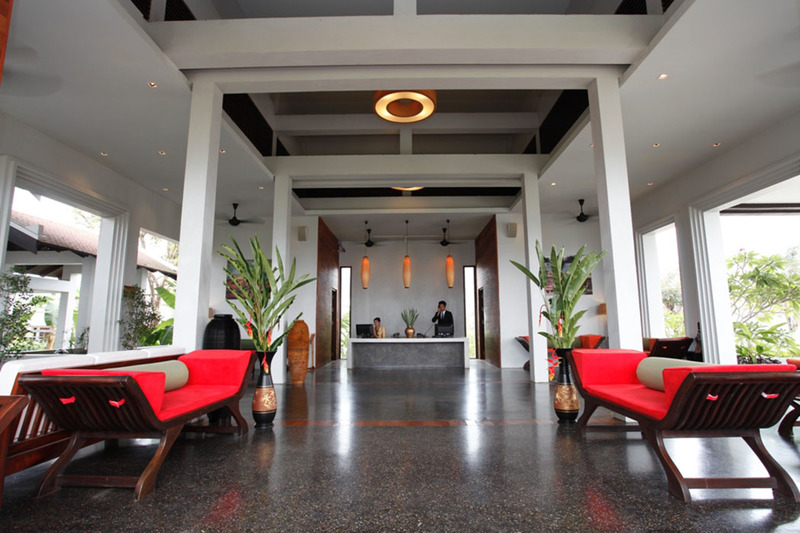 The beautiful architecture and design of the Luang Prabang View Hotel has won it numerous awards. 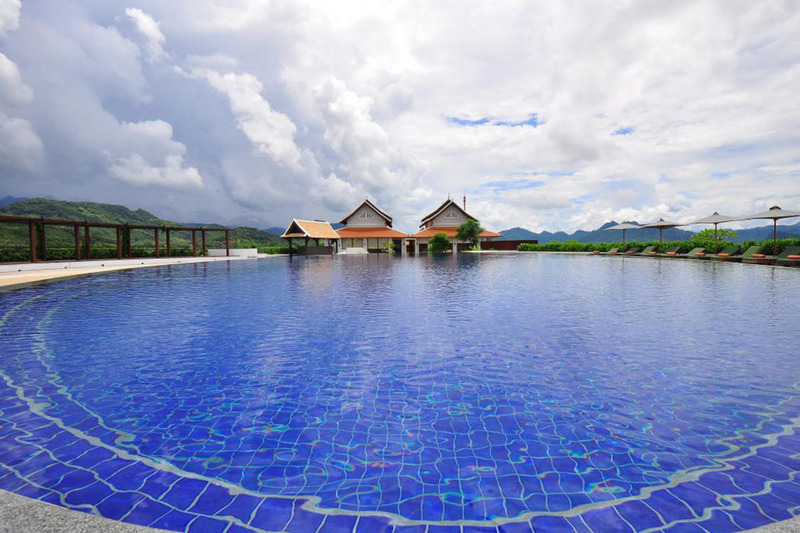 The convex shaped infinity pool is the jewel in the crown of this hotel, with 360 degree panoramic views of Luang Prabang and the surrounding hillsides. The view is renowned to be spectacular even on a cloudy day. 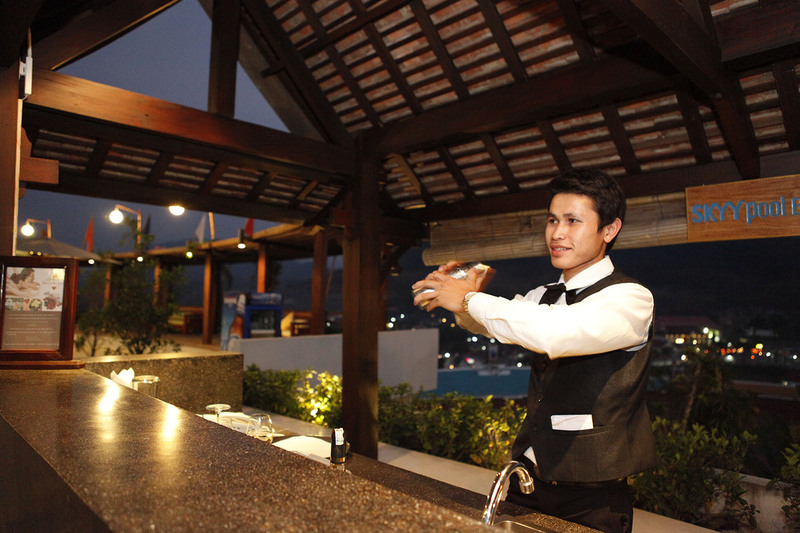 The very attentive pool staff make the pool the ideal place for a cocktail and to watch the sun go down. 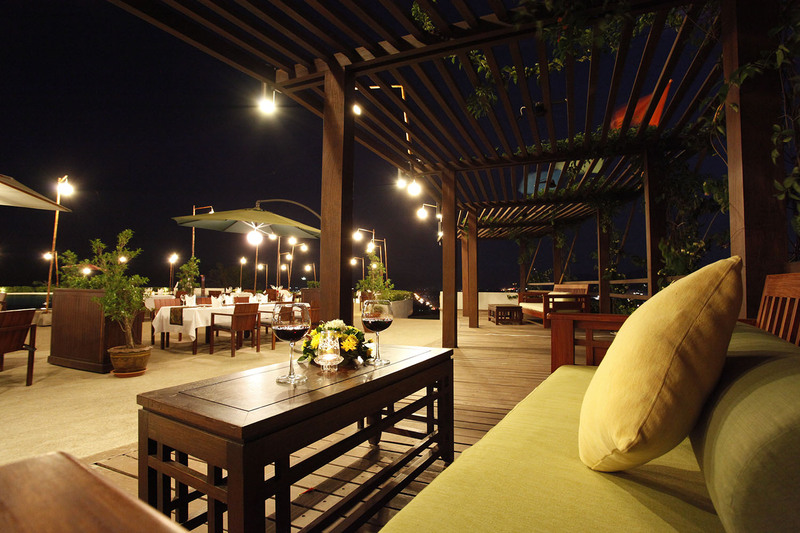 The hotel also features a separate pool and terrace bar serving a range of drinks and snacks whilst you enjoy the views of the local landscape; the Som View restaurant is available for breakfast, lunch and dinner and finally the gourmet restaurant features a blend of Western favourites and local Southern Asian cuisine. 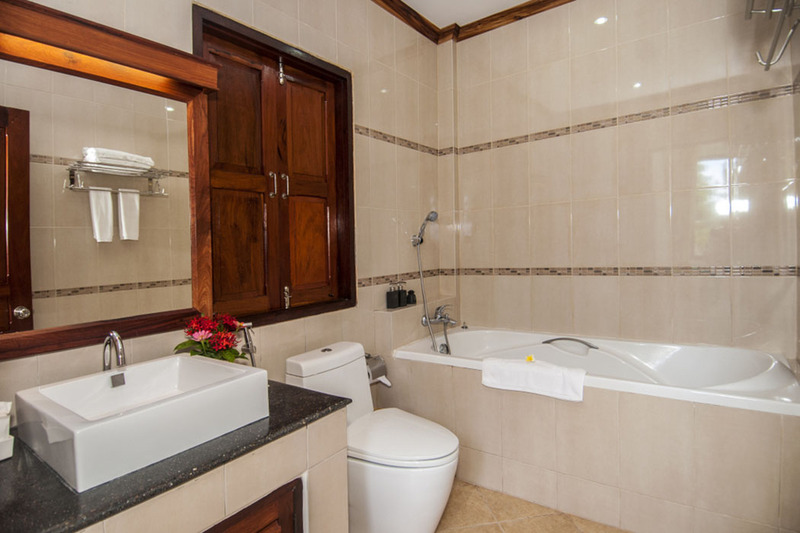 To truly relax and unwind whilst at the Luang Prabang View Hotel you must experience the beautiful Champa Hom Spa offering therapeutic treatments based on traditional and modern healing rituals, ideal to soothe body and mind. Choose from a range of relaxing massages, invigorating body treatments or beautifying facials (tip: ask about their special offers as they are really great value). 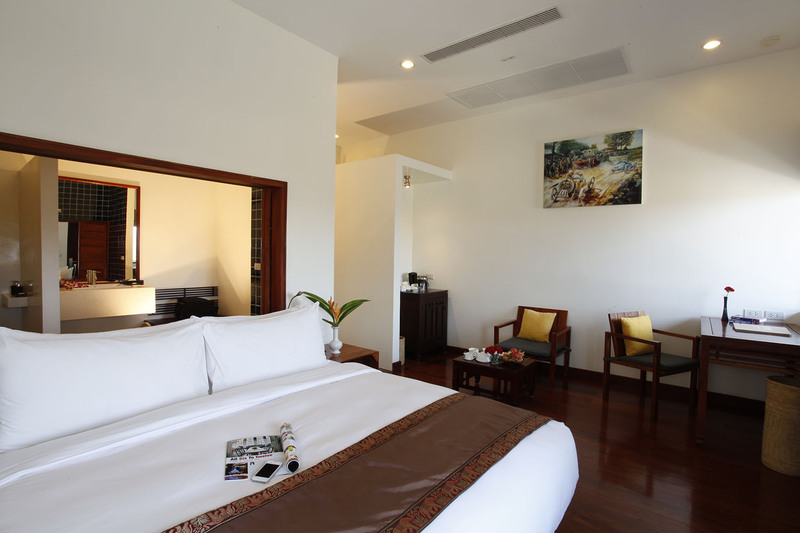 There is plenty of sight-seeing and shopping to be done in Luang Prabang and in the high-season the Luang Prabang View Hotel has a shuttle bus that runs at several times during the day and night. In the low-season the shuttle bus doesn’t run to a regular schedule, however the hotel staff are usually more than happy to arrange your own personal shuttle to drop you off and collect you from your desired location. Alternatively you can take a Tuk Tuk which costs around 50,000 kip depending on where you want to go and the time of day. 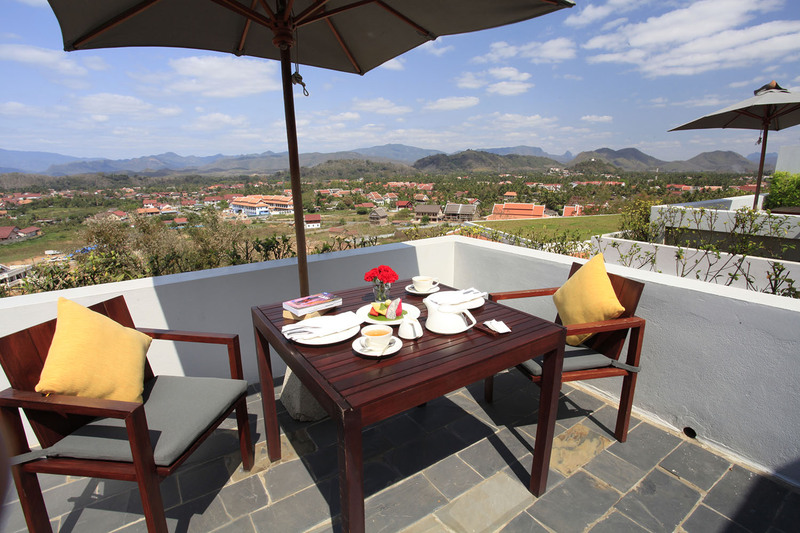 The Luang Prabang View Hotel provides outstanding service and has been named as a Tripadvisor 2014 Travellers Choice award winner. It is the ideal base to allow you to explore the surrounding area and after a hard day’s sightseeing you can return to the sanctity of this resort to enjoy a well deserved cocktail by the infinity pool while watching the sun go down. Who could ask for more?